The small rose ASCII art roses images were made by converting JPG photos of roses in my ASCII art generator. The generator created the ASCII pictures below using letters, ones and zeros, and number signs. This is easy to make and you can do it too. One idea I had was to make a rose bouquet or rose garden drawing and convert it to ASCII art in color. Some of the online ASCII converters will use color in the numbers and letters of the finished image for a stunning effect. 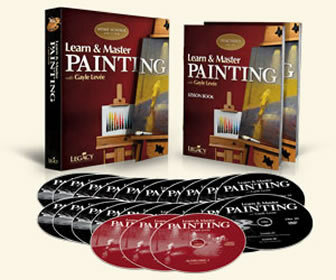 Learn and Master Painting Home School Edition is a Complete Painting Curriculum for Home Study. You’ll be able to take your home school students through a in-depth Painting Learning system, even if you have no painting skills and no previous experience. ASCII code smileys are a popular art form. It started as a JPG to and imported to my ASCII art generator to convert the ASCII picture using standard code letters. This ASCII Art flower was converted with an ASCII art generator. There are also ASCII art daises, lily, and also, an ASCII poppy in color. There is a variety of ASCII art fonts displayed. ASCII Art music note from an art drawing of music notation to JPG to ASCII art generator to this ASCII picture using code letters. Using ASCII art converter ascii characters music notation. This ASCII art music note image started as a drawing, then I did a convert image to ASCII art with text art generator tool to make this picture. ASCII code smileys, This ASCII Art Heart is from an original art drawing by Doug. I converted it to JPG then used an ASCII art generator to make this ASCII picture using code letters. I use a picture to ASCII art converter. This ASCII Art froggies drawing was converted to JPG in my scanner then an ASCII art generator created the ASCII picture using ASCII characters in the image. The code in ASCII art collections are cool. These cat ASCII art images made by converting JPG photos of cats and kittens in the free ASCII art generator. The generator converted the ASCII art images into a picture with ASCII characters. The ASCII Art Dragon images are made by converting JPG photos of Chinese dragons from tattoos with a free ASCII art generator downloaded. The generator converted ASCII art images to a picture with ASCII characters. The Superman ASCII Art images are made by converting JPG photos with a free ASCII art generator downloaded. The generator converted ASCII art images to a picture with ASCII characters. These ASCII Art images are converted JPG photos of chopped motorcycles with a free ASCII art generator downloaded. The generator converted ASCII art images to pictures using ASCII characters. The popularity of the ASCII art small text images made from drawings into funny pictures of ASCII code characters. The collection art images from a converter, generator or manually composed. A free ASCII art generator is easy to use to convert art images and JPG photos to ASCII drawings using code characters. Build your collection art images and funny pictures. Click here to leave Rose ASCII Art Rose for more links to artists and their online art galleries, art prints and art posters. Browse the links found at the bottom of Home Page. Do you like the ASCII art rose?